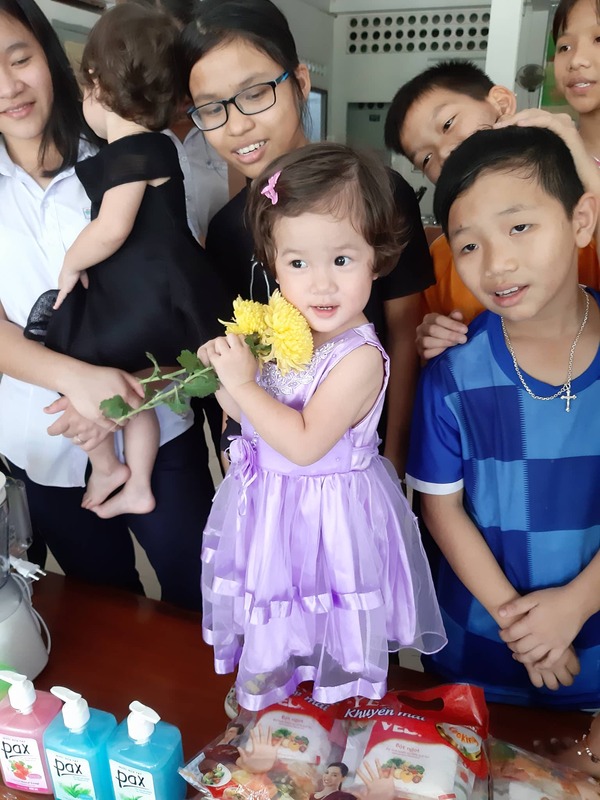 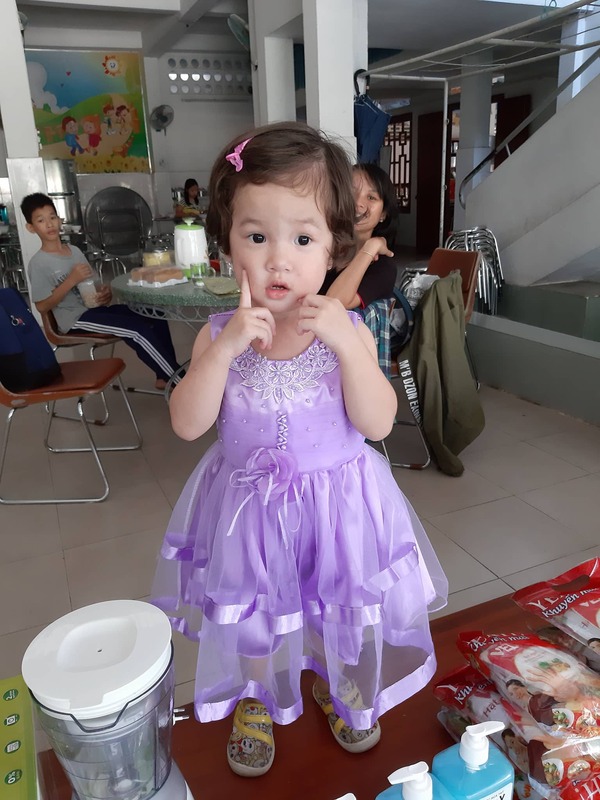 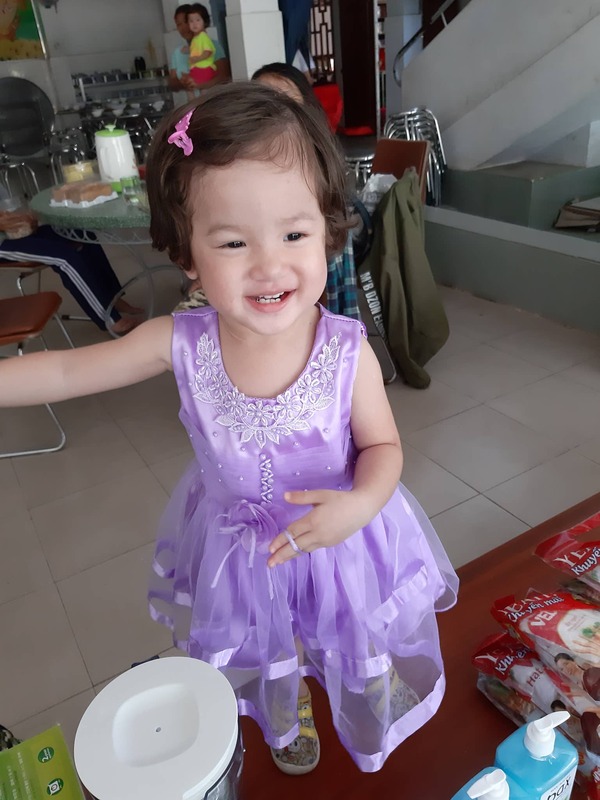 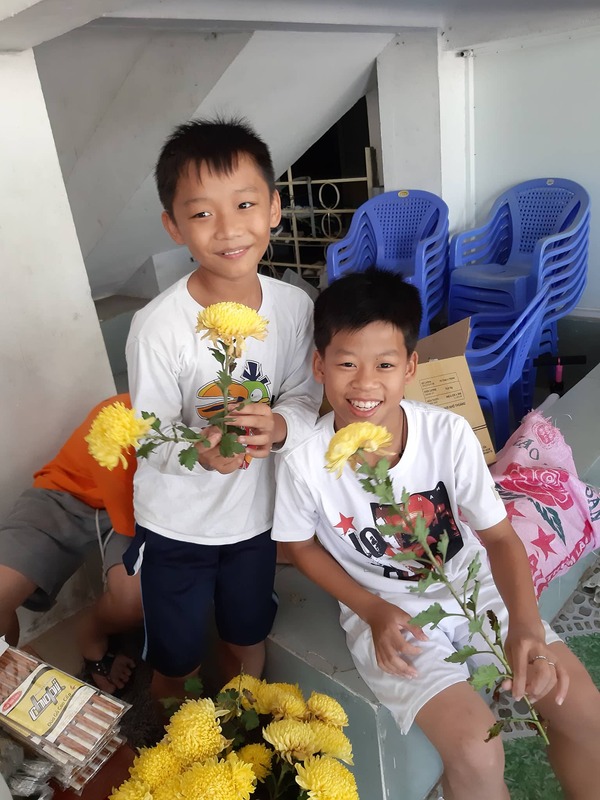 In late February 2019 we visited the Sunflower Orphanage for a lovely visit with the children. 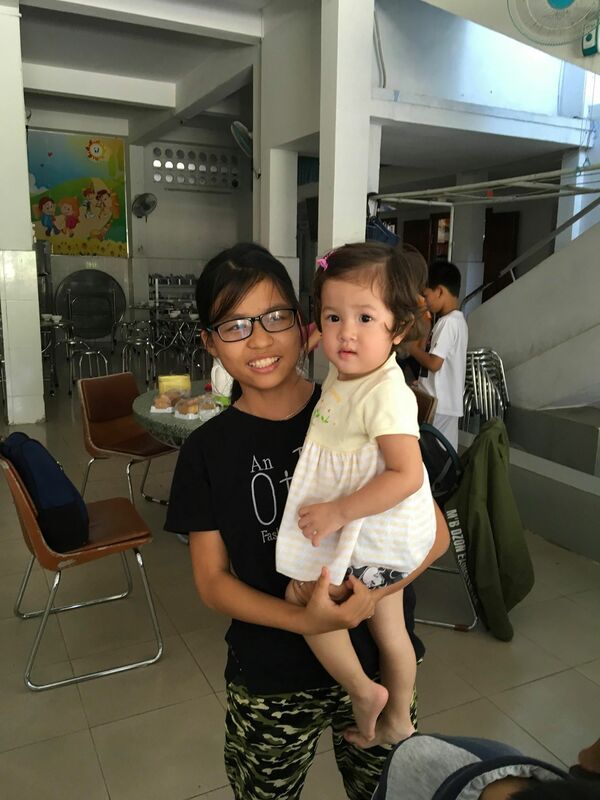 Sunflower cares for many orphans, most of whom are teenagers plus several toddlers. 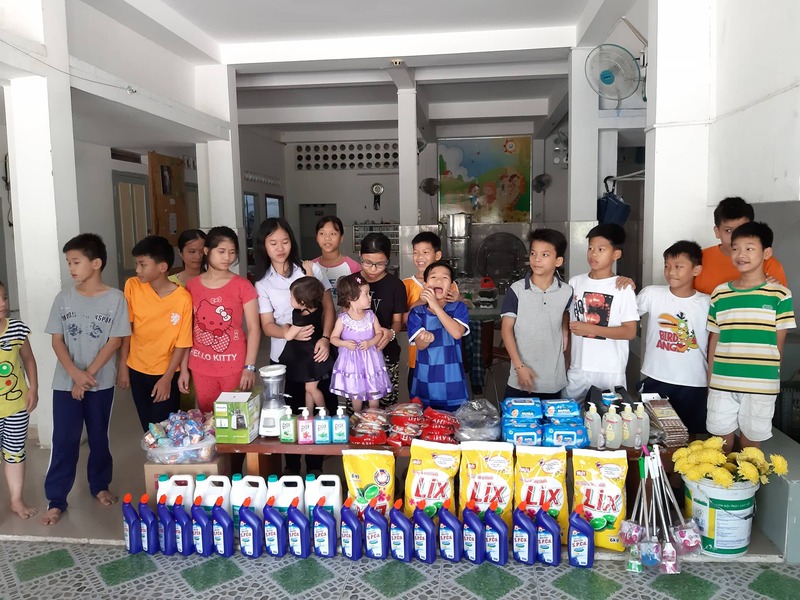 We contacted the caretakers about the orphanage’s current needs and organized a trip. 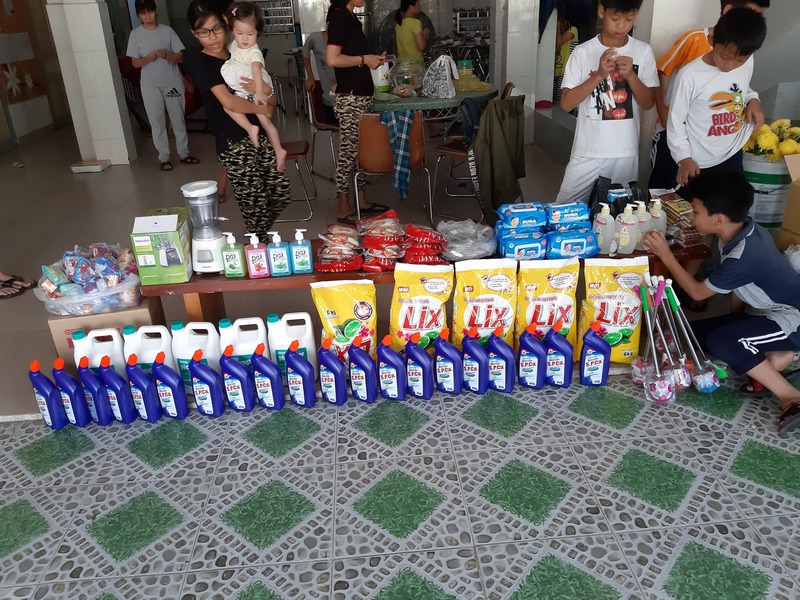 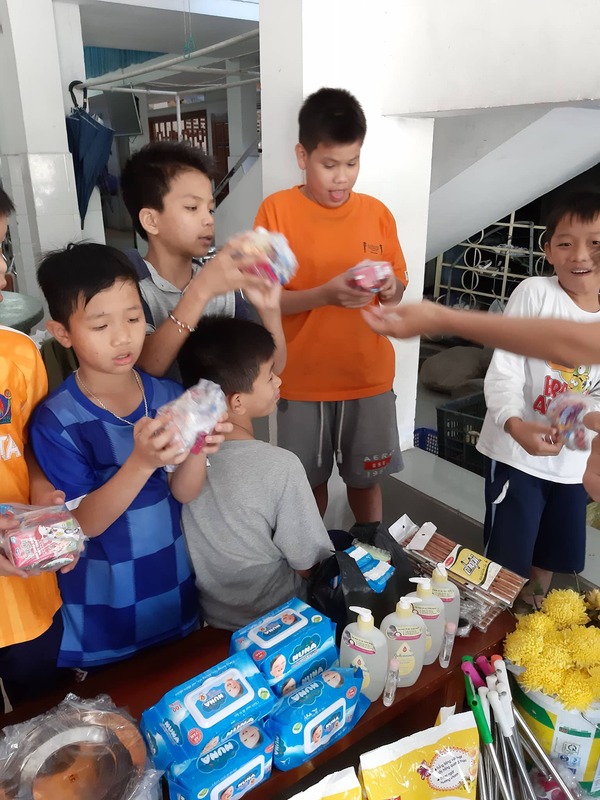 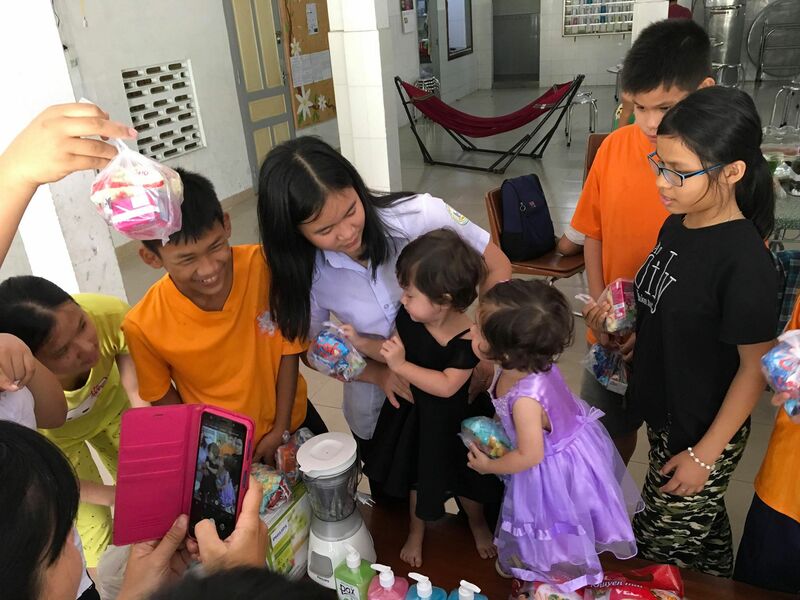 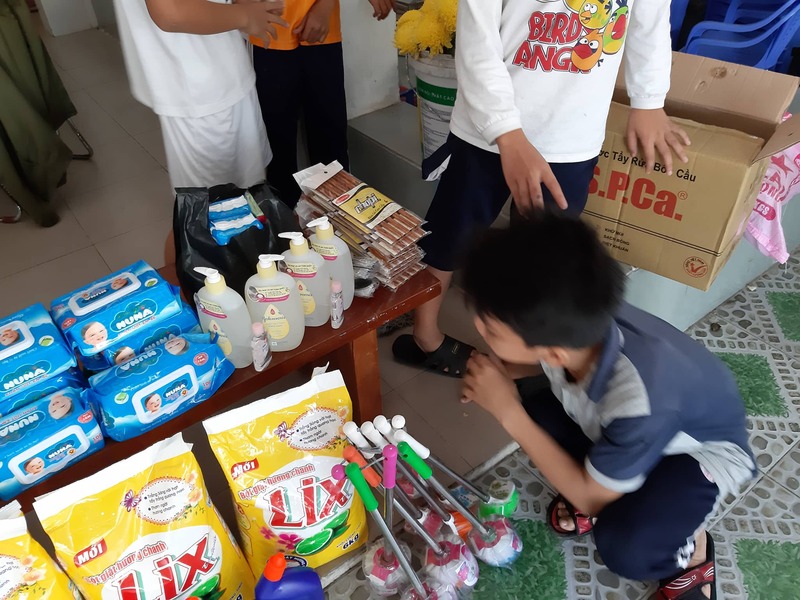 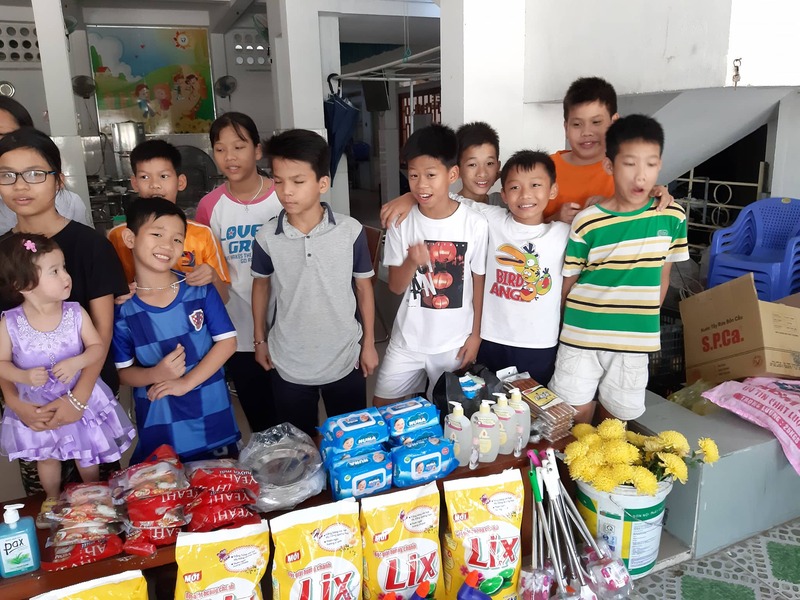 Our team of volunteers brought lots of general supplies including baby wipes, shampoo, soap, laundry detergent, bathroom supplies, cleaning supplies, milk, seasonings, bowls, plates, chopsticks, spoons, a new blender, and some snacks for the orphans. 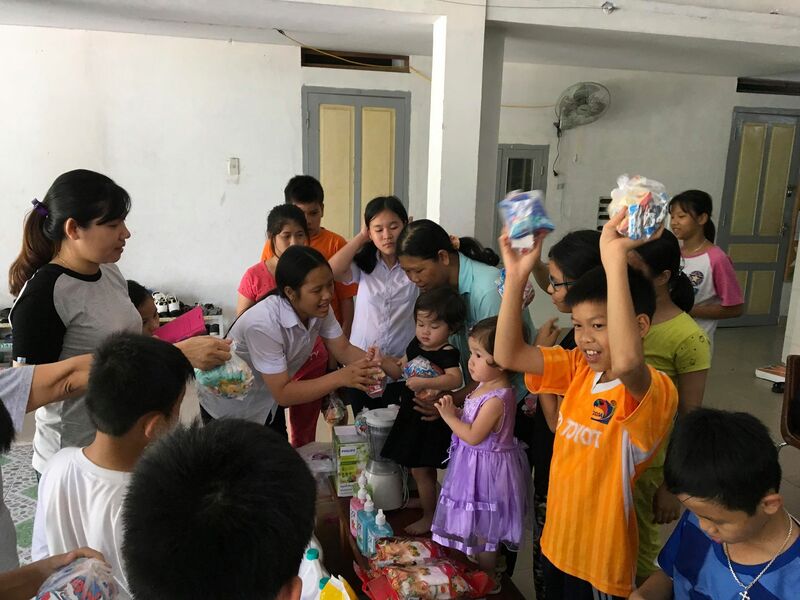 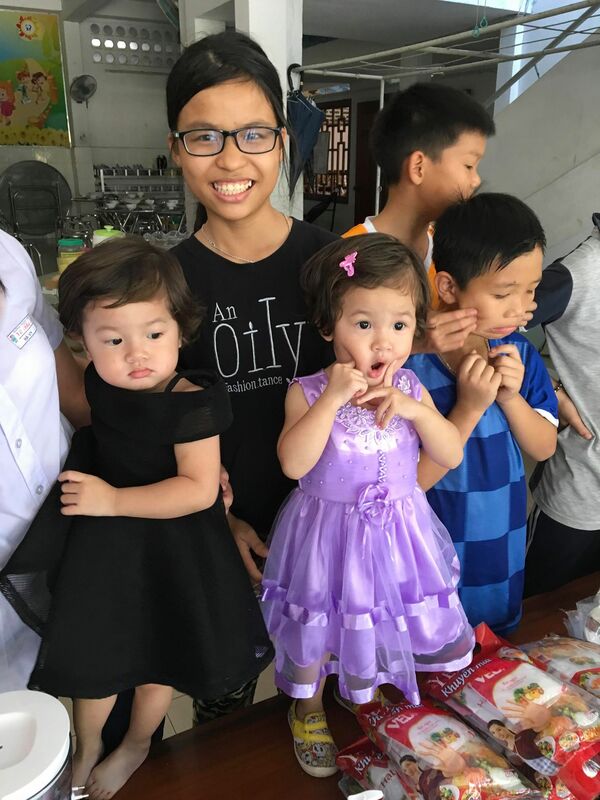 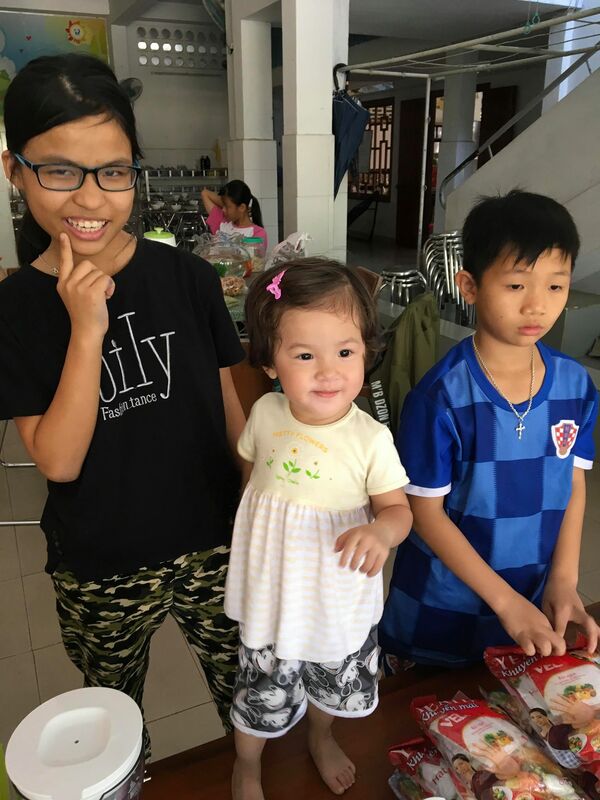 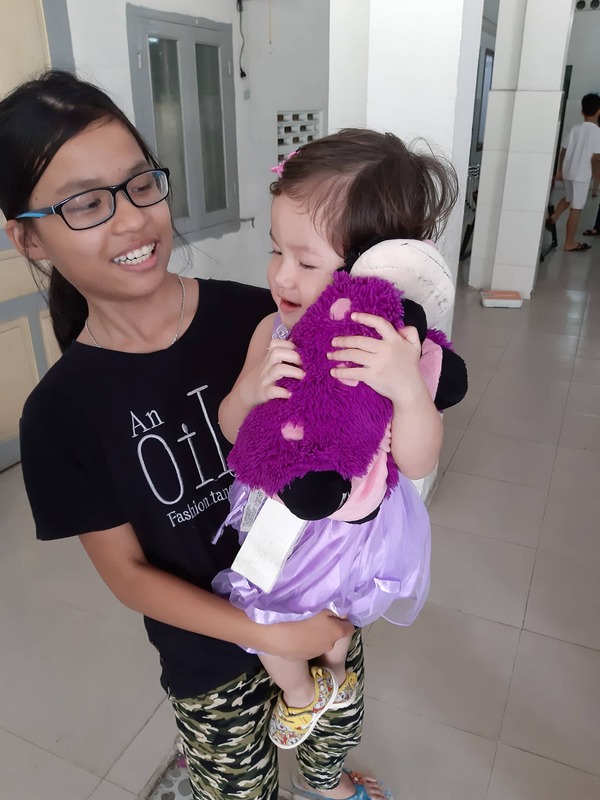 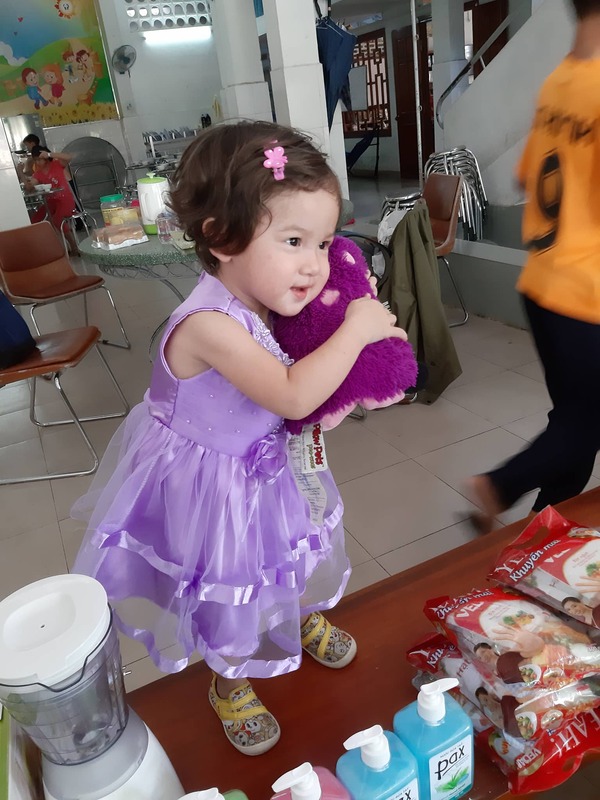 The children were excited to get their snacks, and our team had lots of fun playing with the two adorable toddlers at the orphanage, who are fawned over by their brothers and sisters. 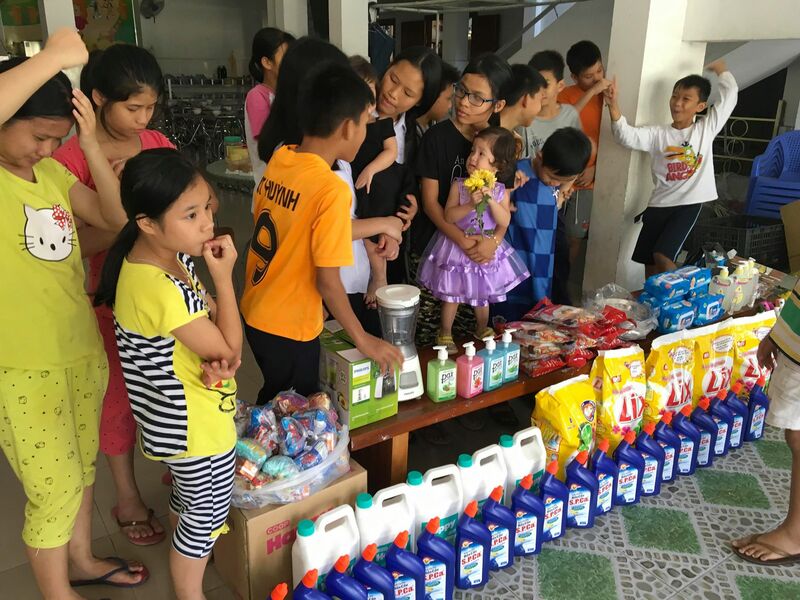 This charity trip was sponsored by Scott Huynh and the Lovingkindness Vietnam general fund.